Color: brown. Lightly sleeved and with a very thick consistency. 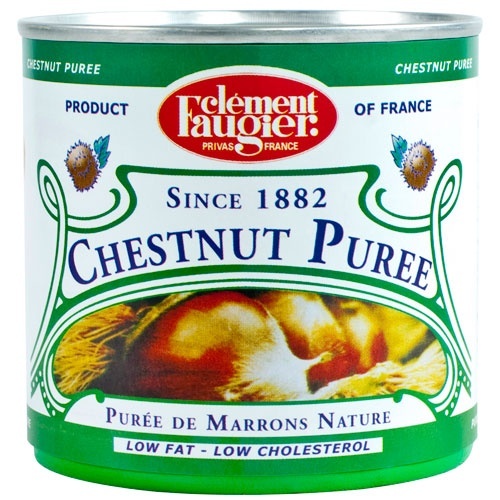 This chestnut purée Clément Faugier might be used by pastry chefs to make delectable treats such as pies, cakes, turnovers. Straight from the tin, this chestnut purée can be heated and added to numerous entrees and desserts. In fact, it holds together extremely well when cooked.